Mexican clothing brand Someone Somewhere takes you into the homes of Indigenous artisans. Toronto citizens are being given the opportunity to visit Mexico this week and no, you will not need to book a flight. Mexico-based retailer Someone Somewhere is hosting a pop-up shop at House of VR on Queen St. W. — its first pop-up shop in Canada — from Dec. 18 to Dec. 23, where visitors can engage in a virtual reality experience, transporting them to the Mexican mountains where the craftsmen and craftswomen who make the apparel are living and working. "Visitors will be able to transport themselves to the mountains in Mexico, and see the world through the eyes of [the] Indigenous artisans," notes a press release. 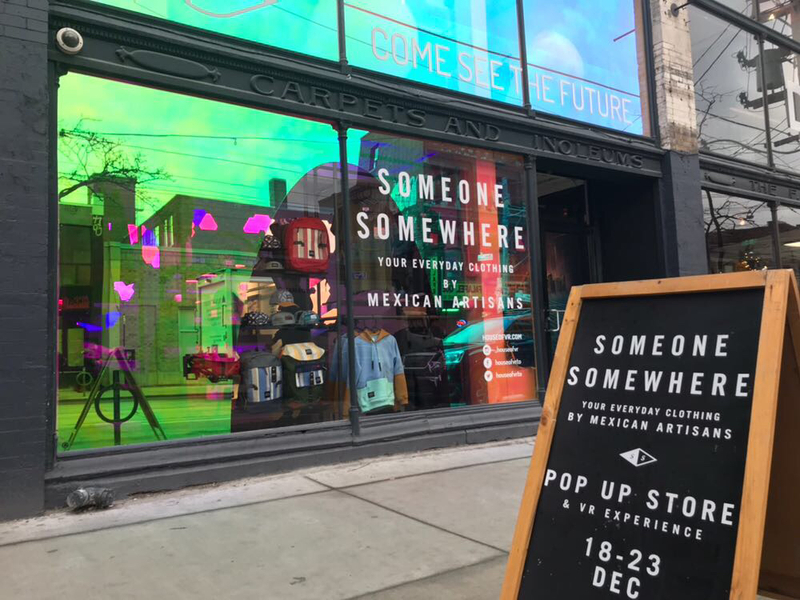 Someone Somewhere pop-up shop in Toronto, Dec. 20, 2017. The apparel brand launched five years ago in response to a problem Mexican artisans encounter in their daily lives. According to the label's press release, "200 million global artisans live with less than $2 US a day," with "one billion family members [being] directly impacted by this situation." As a result, José Antonio Nuño, the company's general director, and Uriel Serrano, its creative director, and their team created Someone Somewhere to help alleviate this problem. "Artisan activity could be an incredible way of fighting poverty. The key was to create products that actually matched what the world was wearing, and to use technology to tell the artisans' stories and reach the people who would actually value their creations," Nuño told HuffPost Canada over email. As per the press release, Someone Somewhere is described as "An apparel lifestyle brand on a mission to lift millions of artisans out of poverty and create prosperity in their communities." These 172 artisans work in five states of the Mexican Republic — Chiapas, Oaxaca, Puebla, Hidalgo and Edomex — using distinct techniques to create the apparel, such as textile crafts and embroidery. 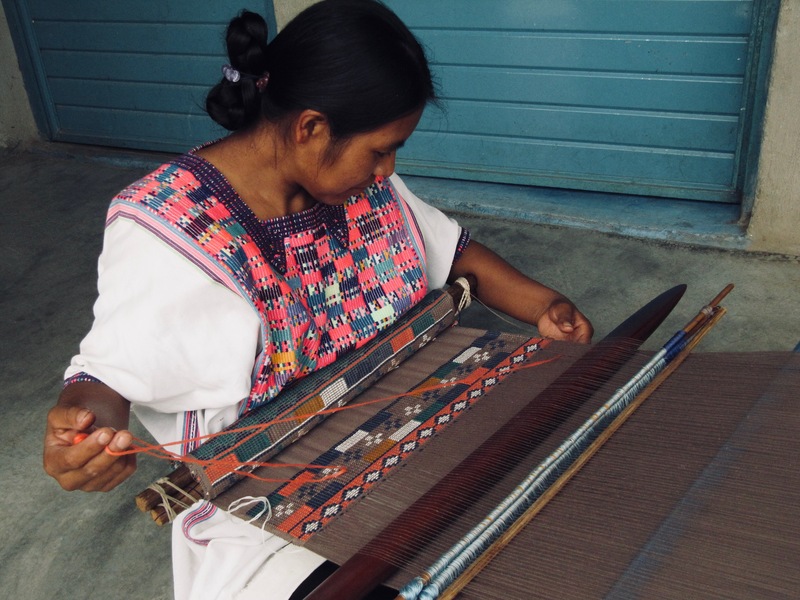 Anita, from Chiapas, creating the fabric for a cap using a backstrap loom. "There are more than 10 million artisans in Mexico who are living in poverty or extreme poverty, and more than half of them live in these five states," Nuño said. "We are already working with hundreds of artisans, who are earning at least three times more than before and lifting themselves and their families out of the poverty line." For Nuño, virtual reality is a great means for "immersing people into the life of an artisan." "It's pretty impressive to put [on] a pair of glasses and transport yourself to the mountains of Mexico, to the house of an Indigenous family or to the workshop where they gather. Everyone leaves with their mouth open and a deep connection with the artisans and the brand," Nuño said. 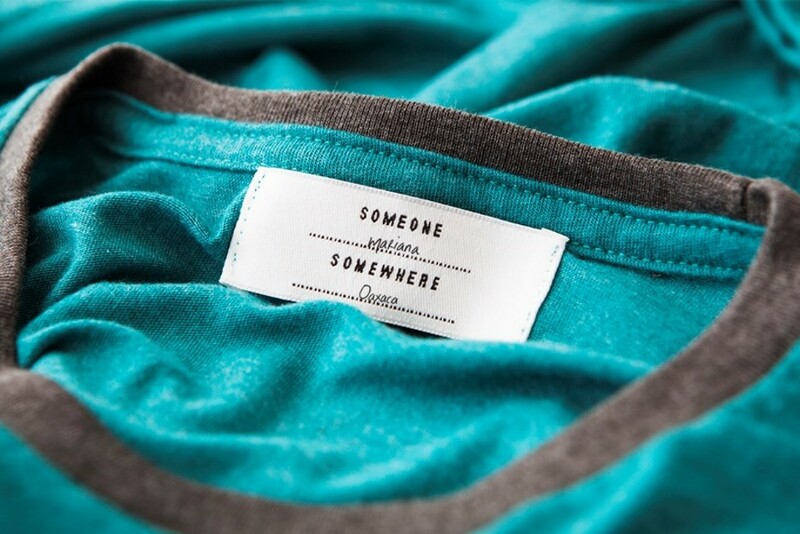 The label that comes in every product of the Someone Somewhere apparel, with the signature of the artisan who made it, as well as their community. The company is committed to highlighting the great work of their artisans, so much so that the artisans have their names and communities written on the clothes, hence the name Someone Somewhere. Someone Somewhere apparel is available to order on their website or, if you're in Toronto, you could walk on over to their pop-up shop.